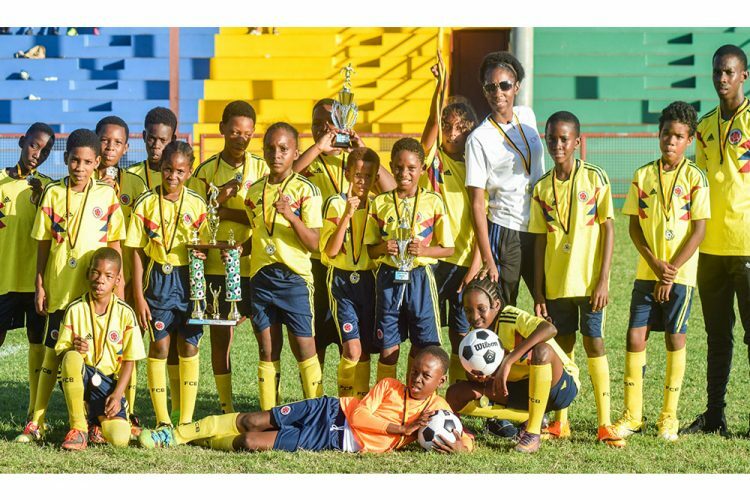 An Ajani Mason second half left-footed strike gave the CW Prescod Primary School the title of 2018 primary schools’ football champions. The one-nil win over the Bequia Anglican Primary School, last Wednesday at the Victoria Park, crowned off an unbeaten run for the CW Prescod Primary. Before meeting the Bequia Anglican, the CW Prescod Primary got over the Chateaubelair Methodist 2-0 in the quarter-final and edged out the Paget Farm Government one-nil in the semi-finals. In the other semi-final matchup, the Bequia Anglican Primary got past the Kingstown Preparatory, also one-nil. Paget Farm Government went on to take the third place with a two-nil triumph over the Kingstown Preparatory School.